Columbus Day is commemorated on the 2nd Monday in October. Explorer’s Ship Cut-and-Paste Art Pattern by Dianne Tansey – Download it now! This cut-and-paste art project will provide your students with opportunities to improve their fine motor dexterity and their ability to follow directions. This project will also help develop their visual memories and enhance basic math skills. Take a Voyage with Columbus! PowerPoint and Mini Booklet by Tech Girl – Celebrate Columbus Day by having the students complete this Mini Booklet that tells the story of Columbus one line at a time on each page, while the students illustrate the words. Simple and Engaging! Arts and crafts, language activities, poetry, songs and fingerplays. Coloring pages, ship, telescope, sailor hats, and more. A handful of free Columbus Day printables. Art and craft projects for Columbus Day including a boat in a bottle, a telescope and more. Activity Idea: Choose words to create your own word search here at A to Z. Words can be filled in online, or the activity can be printed for use in your classroom. A brief history of Columbus Day and articles pertaining to Columbus Day and exploration. (Note: This site used to be free, but now requires a membership.) 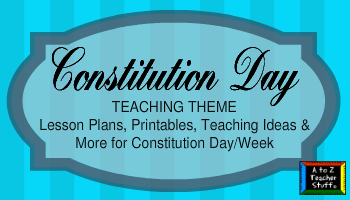 Some background information, along with printables and crafts for Columbus Day. Follow A to Z’s board teaching: columbus day on Pinterest.